Before I left beautiful Portland, my friend Julie Adams from grad school (Columbia Graduate School of Journalism 2000) insisted I take a drive with her and see what we could in a very short tour. 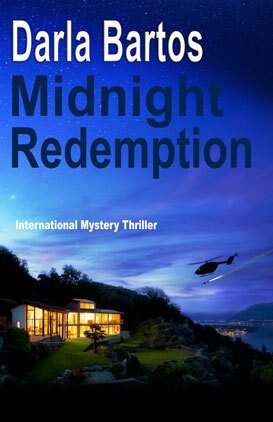 Immediately, she stopped at Powell’s bookstore in the Pearl District. A four-story, city block building displayed books in almost any category. Miles of books. This picture of Powell’s is from the bookstore website. 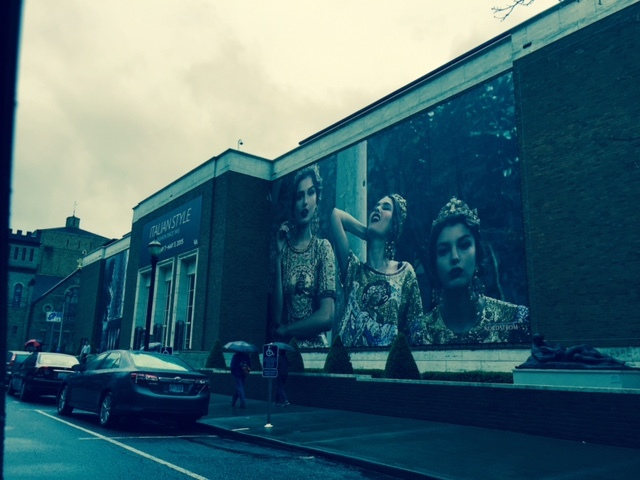 As we drove around the Pearl District, we passed the Portland Art Museum where there is an Italian Style exhibition. Larger than life murals appeared on the outside walls, instantly beckoning walkers and drivers to stop and come inside. 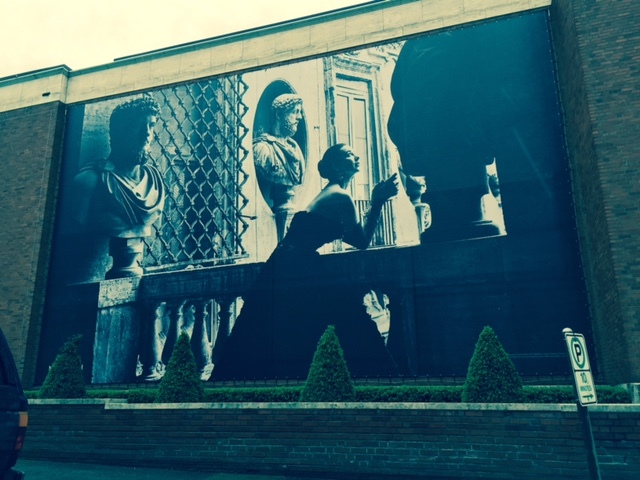 Stunning photos on the exterior of the building. Be patient with the quality of the photos. I had drizzling weather to contend with! 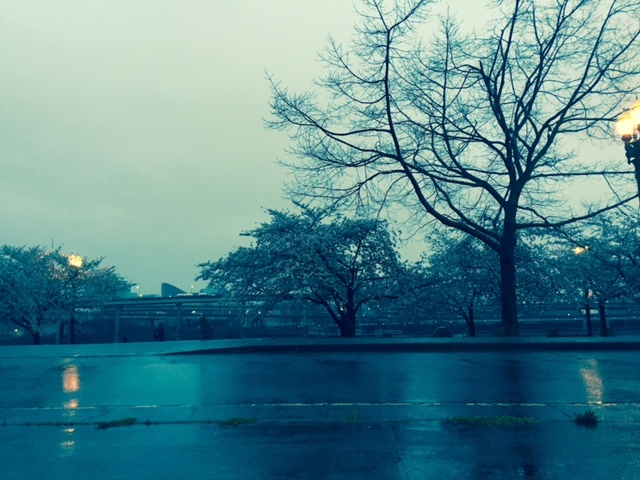 On the drive we viewed beautiful cherry trees full of blossoms. Even though it was nearly dark, the trees were exquisite. We drove by one corner, a gathering place for food carts. Portland is known for the food cart concessions. 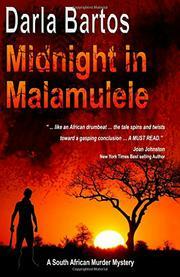 Here’s a sample. 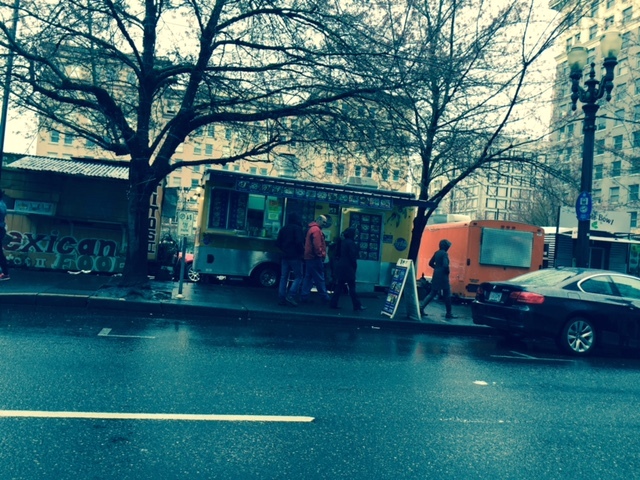 Apparently it’s a Portland thing, this obsession with food carts. They’re everywhere! In the later afternoon, rain falling slightly, a fog settled over the city. Beautiful. And the lovely meal at the top of Portland in the Chart House helped me bid farewell to my visit there, as if it were tied with a giant red bow. 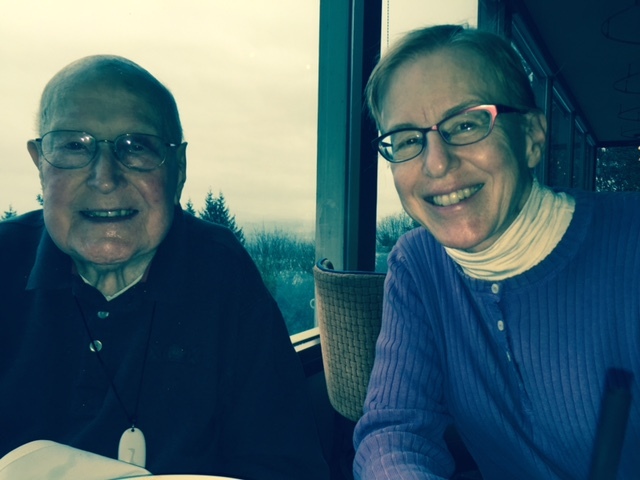 Julie and her 94-year-old father proved to be a good Portland public relations team! 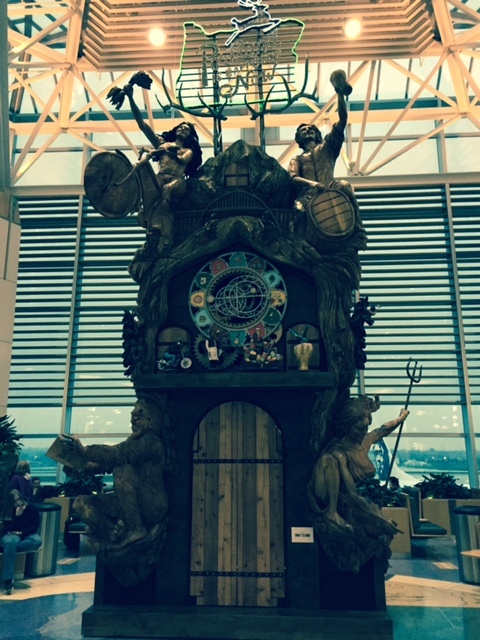 At the airport, sighing and thinking what a wonderful time I had at the Left Coast Crime 2015 conference, I looked up to see the tallest free-standing cuckoo clock in North America! A surprise and a delight. Thanks Portland! Great photos! Sounds like a wonderful trip! Love you! Wonderful description of your trip. It made me wanting to go there.